The NBA's labor agreement means Stat's time in stripes must come to an end. 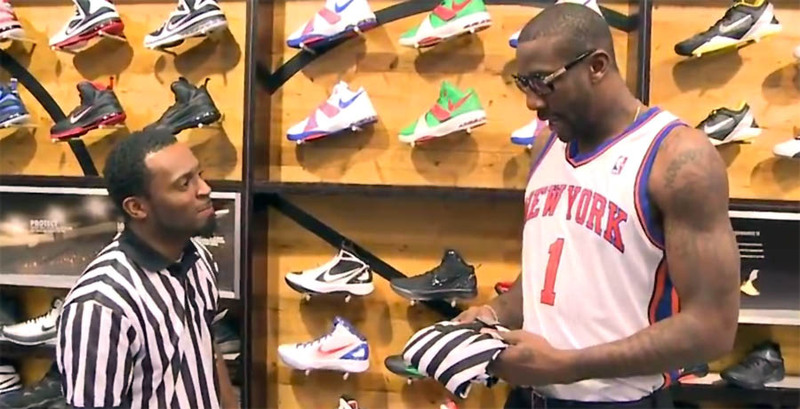 During last summer's NBA lockout, players like Brandon Jennings and New York Knicks forward Amar'e Stoudemire decided to suit up in stripes and take temporary "jobs" working for Foot Locker. After all, as the great Latrell Sprewell would tell you, these guys have families to feed! However, with a labor agreement reached and the 2011-2012 season in full swing (somebody may want to let the Knicks know), Stoudemire's lone concern is the hardwood. Before calling it quits, Stat stopped by Foot Locker to say his goodbyes and turn in his stripes. See how it all went down by clicking the video below.